Welcome to my cookbook Cookerypoint - Ila's Kitchen. 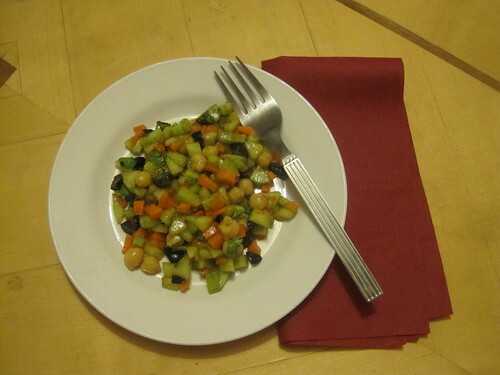 Chop Carrot,Cucumber,Olives and coriander leaves. Add Chilligarlic and Soy Sauce and toss well. Add Olive oil,Salt, Pepper and mix well. Now, add lemon juice and toss the mixture well. Cover the bowl and refrigerate it for 2 hours. Keep the salad in room temperature half an hour before serving. The Veggie Salad is reay to serve. 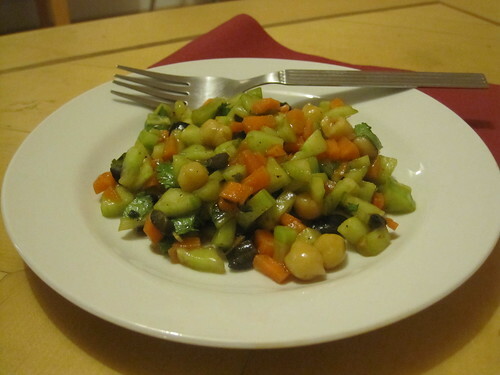 The Veggie salad is perfect for breakfast and evening snacks. This can also be served with curd. Thanks for ur lovely feedback..
Congrats on your milestone..keep up the good work! Congrats dear. Salad seems a nice healthy one with all that vegetables. I will keep your recipe in my mind for a mild breakfast. thanks. Keep rocking! Thanku for the wishes and lovely feedback ..
Congrats on your 25th post..you have a lovely space...the salad's dressing is sounding delicious. Congrats on your 25th post and wishes for more to come.